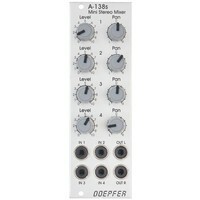 A-138s is a simple but useful 4-in-2 mixing tool. It has four inputs available. 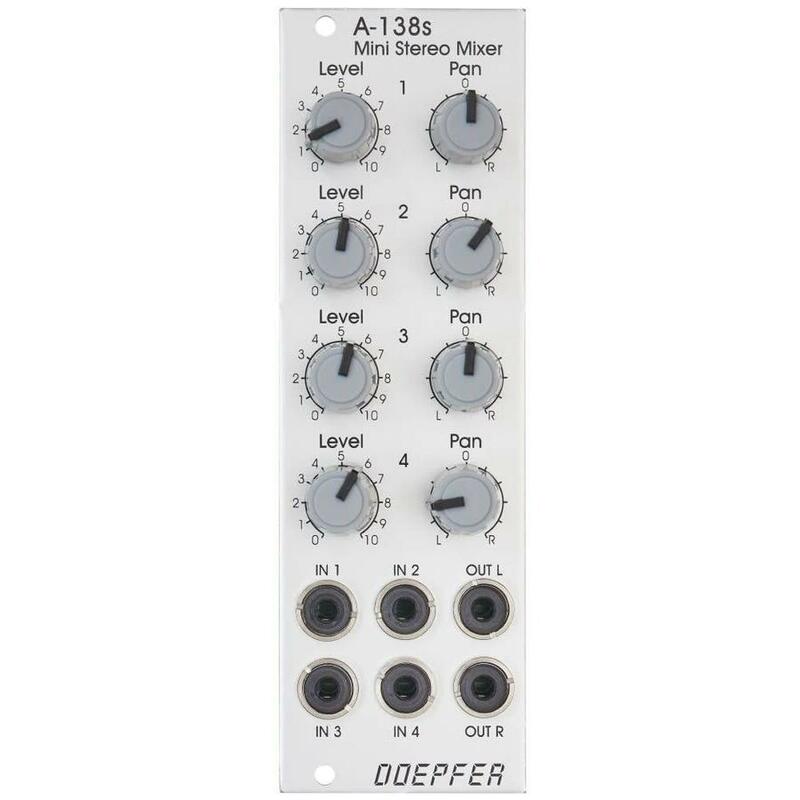 Each input is equipped with an attenuator (Level) and a panning control that is used to distribute the signal to the left and right output. Beyond stereo mixing it is equally suited to create variable parallel routings. 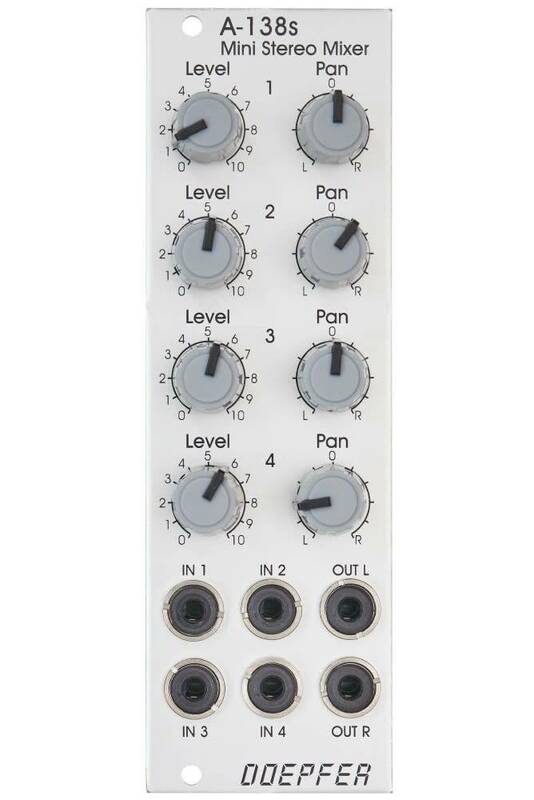 For example: Any of the four inputs may be routed in variable intensity to feed two filters. You may regard the A-138s as a smaller version of the A-138m Matrix Mixer. Inputs and outputs are DC coupled, i.e. the module can be used for the mixing of control signals too.